Have you considered buying a vacation rental property as part of your retirement strategy? Many of my clients are mainland residents who are looking to retire along the Hamakua Coast and come to me with a one-year, two-year, or five-year plan for retiring. Buying a Big Island property to use as a vacation rental is a good way to augment that retirement plan. Vacation rentals along the Hamakua Coast have a multitude of benefits. Homebuyers who have a few years before retirement can purchase a property and use it as a vacation rental until they are ready to retire and live here full time. That way the house is cared for, it pays for itself and owner can use it when they want to. For homebuyers looking to retire in Hawaii, owning a vacation rental property has several advantages. For example, say you want to live on the mainland until you retire but want to take advantage of low interest rates and purchase a property in Hawaii, and your family wants to spend the holidays or the summer in Hawaii. You could use the house for a month at Christmas or two months in the summer, and then when you leave it returns to the vacation rental pool. I see this type of situation a lot with my clients. Typically in these situations, the property owners might hire a person to supervise the maintenance of the property, which includes landscaping, housekeeping, and repairs. There are many successful vacation rentals along the Hamakua Coast with options fitting every type of budget and it’s easy to list them on websites such as Vacation Rental By Owner (VRBO) and Home Away. I know of one vacation rental in Ninole that’s a lovely property with a spa that rents rooms for $750 a night. 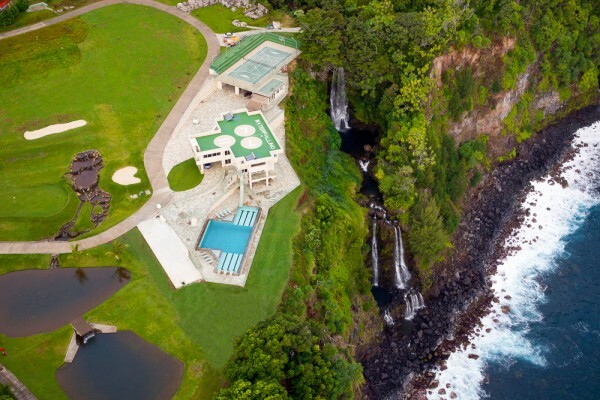 In a recent blog post I wrote on luxury properties along the Hamakua Coast, I mentioned the sale of the Waterfalling Estate in Ninole that sold for $6.8 million. That property is now being used as a vacation rental and rents for $4,259 a night. But you don’t need to buy a $6 million dollar home to use your property as a vacation rental. Nearby the Waterfalling Estate there are nice little hide-away properties that rent out for $125 a night. Like any business though, its success depends on the amount of effort you are willing to put in to it. A big plus in considering a vacation rental along the Hamakua Coast is that unlike the resort areas on the Westside, there are very few hotel offerings in Hilo and no major hotels between Hilo and Waimea. So it’s not surprising that vacation rentals are quite popular in this area. 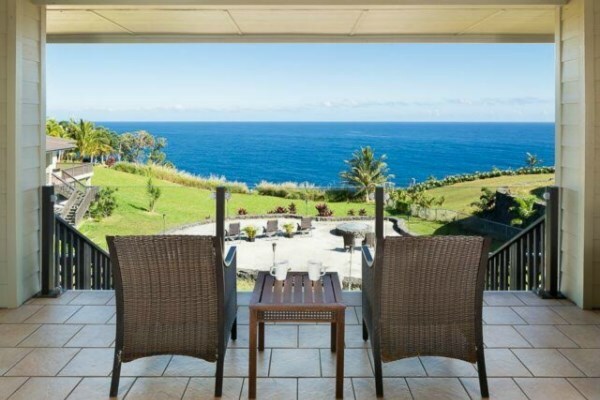 In fact, a recent search showed more than 100 vacation rentals in Hilo alone on the above-mentioned websites, and another 150 in towns up and down the Hamakua Coast including several each in Waipio, Papa’aloa, and Honoka’a, and Pepe’ekeo. Judging from recent sales activity, vacation rentals are faring well on the market. For example, an oceanfront home in Hakalau that was used as a successful vacation rental sold a couple months ago for $2.6 million cash. Located at 31-212 Hawaii Belt Rd., the property featured detached guesthouses, landscaped gardens with a gazebo, and a spacious master suite with a jet tub. There are also several good opportunities to purchase homes to use as vacation rentals all along the Hamakua Coast. In the same neighborhood as the $2.6 million sale, is a property at 31-190 Hawaii Belt Rd. that also has a successful track record as a vacation rental. This two-story oceanfront home is perched on 1.87 acres of meticulously maintained grounds. The spacious home boasts 5,000 square feet of living area with a detached guesthouse. The main house has two master suites on the upper floor with wrap-around lanais for enjoying those incredible Pacific Ocean views. One of the master suites has a jet tub in the master bath. 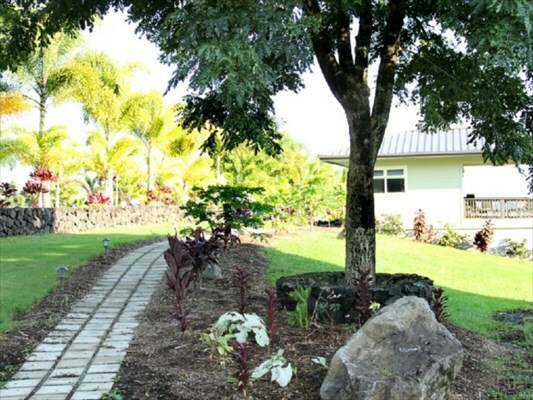 The detached guesthouse has two bedrooms with a wrap-around lanai and full laundry facilities. The main house comes complete with a wonderful kitchen with dual ovens and dishwashers. There’s also a fitness room with its own adjacent full bathroom and a large four-car garage with workspace area. The sellers have very strict guidelines in place about renting the property as a vacation rental (for instance, it’s never been rented to large groups) and the property is in pristine condition. The property is being sold fully furnished, so you don’t have to worry about decorating. Another great feature is the green technology designed into the home that enables you to keep energy costs down. The property utilizes solar hot water, solar electricity, and well water. Pick fresh tropical fruit right off the tree as you stroll along foot paths on this private luxury estate that doubles as a successful vacation rental. Offered at $1.725 million, this home is priced well given the amount of luxury upgrades and amenities offered with this property. 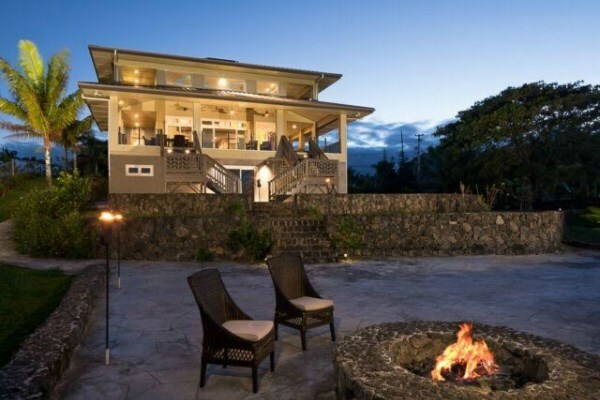 If you’d like more information about this or other possible vacation rental properties along the Hamakua Coast, contact me today at (808) 937-7246 or email BeverlyMolfino@ElitePacific.com, or my business partner Julie Keller at (808) 987-7931 or email Julie@HawaiiLife.com.